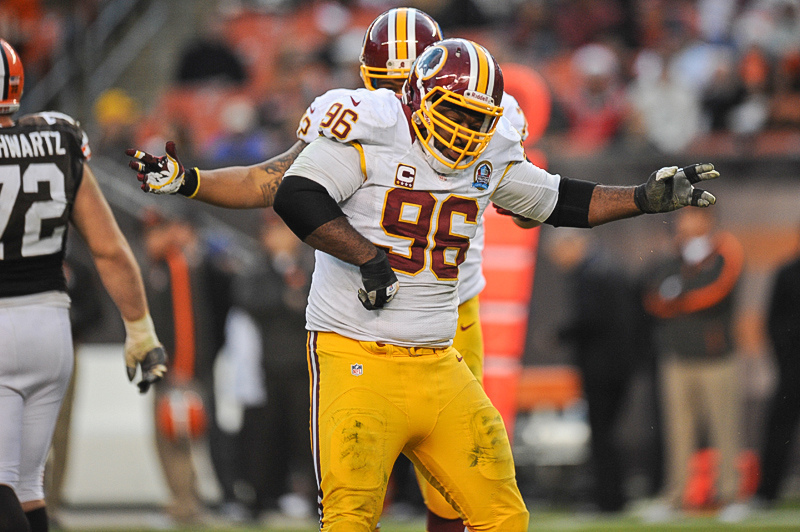 Barry Cofield was informed by the @Redskins that they are terminating his contract. Barry had a great 4 years in Washington. Cofield, 30, suffered a severe high-ankle sprain in Week 1 against the Houston Texans last season and didn’t return until Week 11 against he Tampa Bay Buccaneers. He only appeared in eight games in 2014, registering five tackles and one sack. The nine-year veteran signed with the Redskins in 2011 after playing the first five seasons as a member of the New York Giants. Releasing the well-liked Cofield saves the Redskins $4.2 million in salary cap space. Keeping him on the roster would have counted $7.7 million against the cap.